It was a case of déjà vu on the final day of racing at Sailing's World Cup Series in Hyères, France as Cypriot Laser sailor Pavlos Kontides once again stole gold from underneath the nose of his rival. On the second day of live Medal Racing from the south coast of France, it was the turn of the One and Two Person Dinghies to have their day. And the action didn't disappoint. Click to watch all the Medal Races from France on the World Sailing YouTube playlist. Pavlos Kontides (CYP) must have been sitting on the start line of the Laser Medal Race thinking, 'I've been here before'. At the 2016 World Cup Final in Melbourne, Kontides went in to the final race in second overall fighting for a gold against Australia's Matt Wearn. He won that battle and the gold. This time around, the job at hand was the same, the only difference was Italy's Francesco Marrai was now in his way. The result? Well that was the same, gold for Kontides. 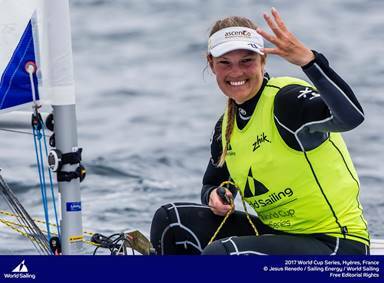 In the Laser Radial Belgium's Evi van Acker was safe in the knowledge she could not finish any worse than in silver medal position. But silver isn't good enough for the determined Belgian and she was focused on gold. The only sailor that could catch van Acker was Tuula Tenkanen (FIN). Van Acker always had rival Tenkanen in her sights and set out for a fight as she explains, "Today was an interesting race as I knew I had a silver and just had to defend a gold. That was the focus of the day, trying to defend against Tuula which meant we had a bit of a Match Race at the start. With a fourth placed finish compared to Tenkanen's last place, van Acker won her mini match race and in turn won gold. Finishing just ahead of van Acker in third place was France's very own Mathilde de Kerangat. That finish meant she had secured herself a bronze medal in front of her home crowd. When does finishing in last place feel good? At World Cup Hyères, when you win your first gold medal. That was the case for Turkey's Alican Kaynar in the Finn class. Nicolas Heiner (NED) has been there or thereabouts all week in the Finn. A ninth place finish in the Medal Race meant that the Dutch sailor had to settle for silver, and in turn took the pressure of Kaynar allowing him to claim that maiden win. 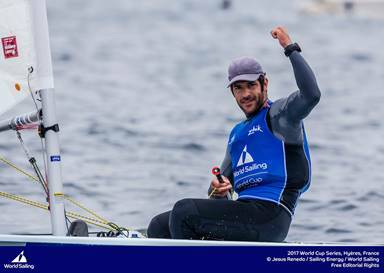 Winning the Medal Race, Jonathan Lobert (FRA) secured another medal for the home nation as it took him in to bronze position. Recovering from knee surgery, the Frenchman will be happy to come out of Hyères with his body unscathed and with a medal around his neck. When the going gets tough, some teams have the ability to just get the job done. 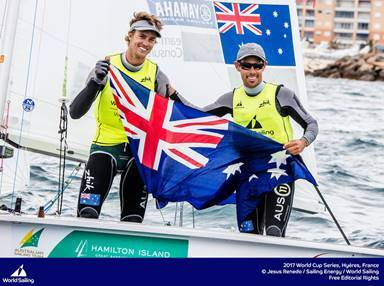 Rio 2016 Men's 470 silver medallists, Mat Belcher and Will Ryan (AUS) rose to the top when others around them were struggling. With a string of four race wins in a row handing them the gold with a day to spare, the Aussies could have sat back and basked in the glory. 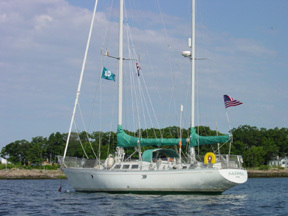 Instead they went for the jugular and claimed a fifth straight race win in the Medal Race. On paper the gold look liked a walk in the park, but for Belcher it was anything but, "The one thing I love about this class is the strength and depth throughout which always gives us good racing. We had a great scorecard this week but we have had to fight for every metre. The two teams that pushed Belcher and Ryan the most were Carl-Fredrik Fock and Marcus Dackhammar (SWE) and Panagiotis Mantis and Pavlos Kagialis (GRE). The Swedish team claimed silver and the Greeks recovered from a disastrous fourth day to keep hold of bronze. 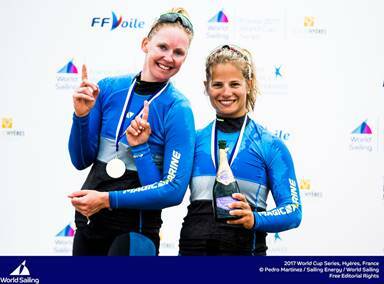 World #1 Women's 470 team, Afrodite Zegers and Annaloes van Veen (NED) made it three straight regatta wins in Hyères, backing up their World Cup Series Miami win and Trofeo Princesa Sofia victories. Zegers and van Veen crossed the line in fifth position in the Medal Race, but with a gold medal all but confirmed beforehand, the result wouldn't hurt as much. The same cannot be said for Great Britain's Amy Seabright and Anna Carpenter. The Britons came in last place, and with it the chance of a medal slipped away. The medals instead went to Silvia Mas Depares and Patricia Cantero Reina (ESP) who claimed silver and Linda Fahrni and Maja Siegenthaler (SUI) who took bronze. Finishing on equal points, the Spanish team stand one step higher than their rivals on the podium thanks to a third-place Medal Race finish compared to the Swiss teams eighth. 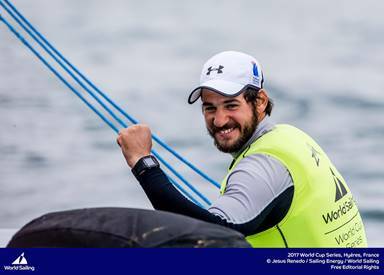 As all the winners spray the champagne, wave to the crowd and collect their medals, focus will now shift to the 2017 World Cup Series Final in Santander, Spain this coming June.